Our Premium Extra Clear Melt and Pour Soap Base is transparent with a clarity score of 9 out of 10. It is our best-selling soap making base and has a creamy lather with big bubble foam. The twenty-four pound big block is ideal for larger projects, as it will make (96) 4 oz. bars of soap. Soap comes in a blue bag with twist tie and corrugate box. A single block measures 13 x 11.5 x 6 inches. COMMENTS: Easy to work with. Luxurious lather. Takes color and FO/EO beautifully. "Clearer than cheaper alternatives! " COMMENTS: We've priced out different melt and pour options but love the clarity of this one. The layers adhere well and the light pours through it beautifully. Love it. COMMENTS: Very nice soap, makes coloring easy! Nice rich bubbles. I only buy wsp soap bases! Have been for yrs & will never change. "The best quality around "
COMMENTS: Nice, clear, awesome soap base!! Perfect in every way. Love it and the price, come on, you can't go wrong!!! "Extra Clear, but a little unwieldy"
COMMENTS: I love the clearness of this melt and pour base, but I am a small batch soap maker, so the big huge block of base is a little unwieldy and time consuming to work with. I can deal with it, but having to carve out small amounts of base gets a little time-consuming. COMMENTS: I have tried many different types of glycerin soap's. This one exceeds all my expectations. "Exceptionally clear and easy to work with"
COMMENTS: I found the Premium Extra Clear MP Soap Base really easy to work with. Shows embeds clearly without color distortion. I did find that some fragrances will cause a reaction making the soap less clear. I saw the clouding instantly so I was able do test samples before making the final decision on which scent to use. Adding color is a dream for creating beautiful soaps that look like sea glass and stained glass. 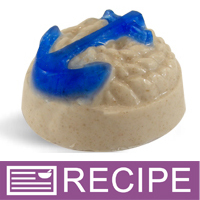 COMMENTS: This is a fantastic soap, SUPER for creating fun soaps for all of my sales. COMMENTS: I have been doing HP and CP but due to circumstances, I have now started back with M&P. This is the first soap I purchase and I went back to using this and I am thrilled. I have sold everything I made with it. COMMENTS: Works well. I make a peppermint m&p with clear red and white layers. So gorgeous! COMMENTS: I really like what I can do with this MP soap. I'm having fun playing with it. COMMENTS: Love this base, Never any problems, great quality, my favorite !! COMMENTS: Thanks so mich for having such fast shipping and packing my purchases so well. Great customer service and have purchased this twice. Will buy again soon! "MAKES GORGEOUS MELT AND POUR SOAPS"
COMMENTS: We use this base in ALL our Melt and Pour projects. It delivers the highest quality products and is very consistent. Crystal clear! Accepts all fragrances and colors easily and perfectly every time. Our customers love our soaps! Thank you WSP!! COMMENTS: I love this soap. It is so clear I use it for my embedded soap.. easy to use and affordable. "Best Quality Soap on Market"
COMMENTS: This soap is extremely clear and has great leather. The thing that I like best about this soap is that it does not sweat. COMMENTS: This soap base is perfect for all my melt and pour needs. The clarity is nice and it is easy to work with. COMMENTS: This is by far one of the better M&P bases I have used. Soaps come out very clear and they dont sweat like some other bases. COMMENTS: This base is extra clear. The clearest base I have ever used. Easy to use and handle when using soap embeds or toy embeds. COMMENTS: I have been using this base for years. Don't bother searching for another, as you will not find a comparable product for the price. COMMENTS: Great product! When using color blocks, the outcome is simply beautiful! "My go to base! " COMMENTS: This is my absolute favorite clear base. Will never use any other! COMMENTS: This soap is so clear and Bubbly. Colorants mixed in super easy, was easy to fragrance, didn't leave any chemical odor as some M&P soaps are prone to. Resulting bar was beautiful Shiny and super Bubbly. COMMENTS: This is the only clear melt and pour that I would buy. It foams up beautifully and it's super clear! I highly recommend this to everyone. COMMENTS: I use this for lots of bars and love it. "I LOVE THIS BASE, THE CLEAREST BASE IN THE MARKET"
COMMENTS: I love using this base on soaps where i embed seahorses, shells, fruits (all soap). it looks beautiful! "The best clear mp around." COMMENTS: This is the best clear mp I've tried. It smells nice and has a bubbly lather. COMMENTS: I have tried many other MP soap bases but I love WSP. Very clear, melts with ease. COMMENTS: Im so glad I purchased this product. Its a wonderful base to work with and very easy to color. Its the best of the best!! "Premium Extra Clear MP Soap Base - 24 lb Block"
COMMENTS: Premium Extra Clear MP Soap Base - 24 lb Block Love WPS Soaps! I've used them all! Buying the large block saves money. The soap is clear, clean and easy to work with. You can make a lot of different products with it. "Love the base but packaging got to go!!" COMMENTS: Soap base is great however the packaging got to go!! !The plastic bag is stuck inside the soap base that you must get ready for a work out. There is no easy way then to hack away on this big block. "very clear and easy to color." COMMENTS: If u are looking to make a clear soap, this is my go to product every time. COMMENTS: This is a great soap base for those who need a really clear finish for soap designes. I went through many 2 lb trays of this before I decided to try the big block. I'm so glad I did this! I just cut up a bunch of soap from the block and store the chunks until I'm ready to use, it's very convenient to not have to always be mindful of how many trays you have left and when should I order more! The soap itself preforms beautifully. I highly recommend this base! COMMENTS: This is my go to base for clear...beautiful lather nice and clear. Holds fragrances and its clarity opens the door for creations to go wild. "Extra Clear Melt and Pour"
COMMENTS: I love this soap base. Its clear when its set up. "Not as clear as Crystal but it will do in a pinch"
COMMENTS: I originally ordered Crystal Clear but when the orders were processed, it was out of stock...needless to say I was very disappointed as I was working on a special order and need as much clarity as possible. I was offered this clear as a substitute and while I could tell the differnce my customer never noticed...so I will order again if it happens that the crystal clear is out of stock again. I just wished it came in detergent free. COMMENTS: This is a very clear, moist base that doesn't flake or crack like some of the other clear bases on the market. I just made a Christmas soap with it using Alpine Frost FO, swirling this combo of colors: stained glass red/a little white sparkle mica, stained glass green/a little white sparkle mica, and white mica. It looks and smells wonderful! COMMENTS: Great for embeds. Nearly transparent, and excellent lather. No sweating or discoloration. Truly premium! COMMENTS: I use this for embedding toys. It is my go to clear soap. It is low sweat, clear. COMMENTS: I really enjoy this base. It provides lots of bubbles and lather, very nice, customers love it! It makes beautiful colors and works well with other bases such as a 3 butter base. Highly recommend. Thank you very much. "Melt & Pour Soap Base "
COMMENTS: I love the Melt & Pour Soaps. COMMENTS: This base is so clear . I use it with toy embeds so you can really see the toys. Kids love it. "Crafter's Choice Premium Extra Clear MP Soap Base"
COMMENTS: Very pleased with this clear base. Best clarity I've found. COMMENTS: Love this base--clear and great for embeds. I buy the block in this one as it's easy to cut, blade just slides down through it, unlike some of the other bases which are hard to cut. Lathers well, awesome for getting bright, vivid colors. COMMENTS: This is definitely the clearest soap I've found. There's no yellowing to it at all. And, whoever came up with the idea to wrap it in blue plastic, is brilliant! "High quality soap base. " COMMENTS: When purchased in 2003, it was easy to use and a great price. No downsides. This is undoubtedly still true today, as I continue to use soap purchased from Wholesale Supplies Plus. COMMENTS: Very good soap. It really is extra clear. Everyone comments how soft their skin is after using this soap. The lather is outstanding. I really love workng with it for my clear soap projects. I will always buy this terrific soap. • Soft and lovely lather. Performs well. COMMENTS: Low sweat, great for embeds!!! COMMENTS: I love this base. It lathers better than the basic base. The basic base dries out and leaves white spots all over the soaps. This base does not do that. It stays clear. Recommend this one for sure! COMMENTS: Love it - excellent product. COMMENTS: This base is amazing! Super clear. I make these soaps with embeds and/or toys inside and it works great. Great deal too. COMMENTS: Awesome base. Great bubbles, lather. Crystal clear. worth the money. COMMENTS: I love getting the 24 lb block. It is wonderful and convenient to have. I cut it just like the video recommends with the soap cutter. I love it. It is large enough to have plenty and small enough to maneuver. I saved some of my small 2 lb plastic trays and put bits in there for quick access. COMMENTS: Perfect for the MP soap that requires hardness and clarity. COMMENTS: I have tried MANY clear bases and I love this one! Its superior to all of the bases I have tried. It doesn't crumble like many bases do. Its low sweat so its perfect! I love it! "Not as hard to work with as expected"
COMMENTS: This was my first block purchase. I spent an hour cutting it up and put it in rubbermaid and zip lock bags. Will buy again, great savings! NOTE: When i first took it out it was stuck to the bag in the creases but it came lose before I finished cutting it up. Give it a few if this happens. COMMENTS: I love this soap. Very easy to use. Leaves skin very soft. COMMENTS: This is my favorite MP soap base. The lather is fantastic and the soaps seem to last a bit longer than some other brands. COMMENTS: This big block is so easy to use. The base truly is clear. So easy to use and color. Holds fragrance very well. COMMENTS: Perfectly transparent clear soap if you also use the stained glass soap color blocks. Pour soap showly at a low temp to avoid bubbles. If bubbles occur, spritz with rubbing alcohol. Some fragrance oils may make cloudy. COMMENTS: I do m&p favors for parties. I go through a lot. I was using another brand and was pleased with it but the cost was high. I tested this for about a month and loved it. I will continue to buy it and my customers love it. COMMENTS: This is an excellent clear glycerin base. I use it in my M&P soap making and it is fantastic! This is a more cost effective way for me to purchase in bulk and produce much more product than I was previously. The base melts quickly and evenly (I use a microwave). Minimal bubbling during the manufacturing process makes for a very smooth and clear end product. Bars produced using this base are very rich in lather and do not leave a sticky feel to the skin. Highly recommend this soap base to M&P crafters. COMMENTS: Soap is truly extra clear like it says! Very easy to cut and melt! Makes a beautiful finished product! Lathers great and leaves skin feeling silky after bathing. I use with molds and sometimes use the basic white to bring out details and clear as a a backing. COMMENTS: This is a great base for all of those soaps that need to be as clear as possible! COMMENTS: There are SO many recipes that call for the premium extra clear soap so I purchased this. I've already made one recipe with it and really like the quality of this soap. It lathers well and worked up so nicely in the recipe I used. This is great for adding glitters, colors, and doing decorative soaps. I look forward to doing a lot more with this soap. COMMENTS: Love the lather this base produces. Takes fragrance very well. COMMENTS: I use this for various soaps, including embeds and loofah soaps. It is easy to use, and is a quality product. I would recommend it to anyone looking for a great clear mp soap. COMMENTS: This base is very clear. Great when you need absolute clarity. Easy to unmold. Lathers great. COMMENTS: I just tried this product for the first time a few days ago. It is very clear and has not yet clouded. Also, no sweating as of yet. Will buy again. COMMENTS: I use this soap for embeds and love it! I just had to learn what temp to bring it down to so that I don't melt my embeds. But once I got that down, it is wonderful. Good thing soaps can be remelted and used again. I had a lot of melted boo boos while learning how to use this soap. "Extra Clear Glycerin Melt and Pour Soap"
COMMENTS: This is my workhorse Clear MP soap. I used it for over 5,000 soaps in the past year. It is easy to work with, stable and cost effective. "The best base on the market!" COMMENTS: You can't find a clearer base than this and I have tried a plenty and always come back to this. Melts easily, beautiful lather, leaves skin feeling soft and smooth, embeds can be seen, colors easily, holds fragrance well, I simply love it. COMMENTS: I have to have this all the time for my business. I use it in so many ways with my soap designs. Because of the clarity in it; as a soap artisan I am free to create so many original soaps. It lathers and bubbles well and stands up to re-melting nicely. I have never been disappointed using it. It takes colors well and hardens well. COMMENTS: This is an excellent product. The clarity is great. I first used this when making soaps for the holidays. The block was easy to cut and the way it was packaged made it easy to store. It is not hard to color and it accepts fragrance very well. "Great for beginner soap making"
COMMENTS: I love this soap base for learning and adjusting my soap making skills. It is very easy to use, nearly impossible to mess up, lathers beautifully and is easily manipulated. Possibilities are endless with this clear and basic base. I use this for layered bars and embedded bars (and more to come) and everything I have made has been a hit. There seems to be no sweating and the finished product comes out crystal clear and gorgeous! COMMENTS: Great soap. It's easy to cut, takes color and scent well and doesn't look "yellow" when you use it clear. No complaints. COMMENTS: This base is easy to unmold. Easy to cut. Melts clear and smooth. Lather is great and holds fragrance well. 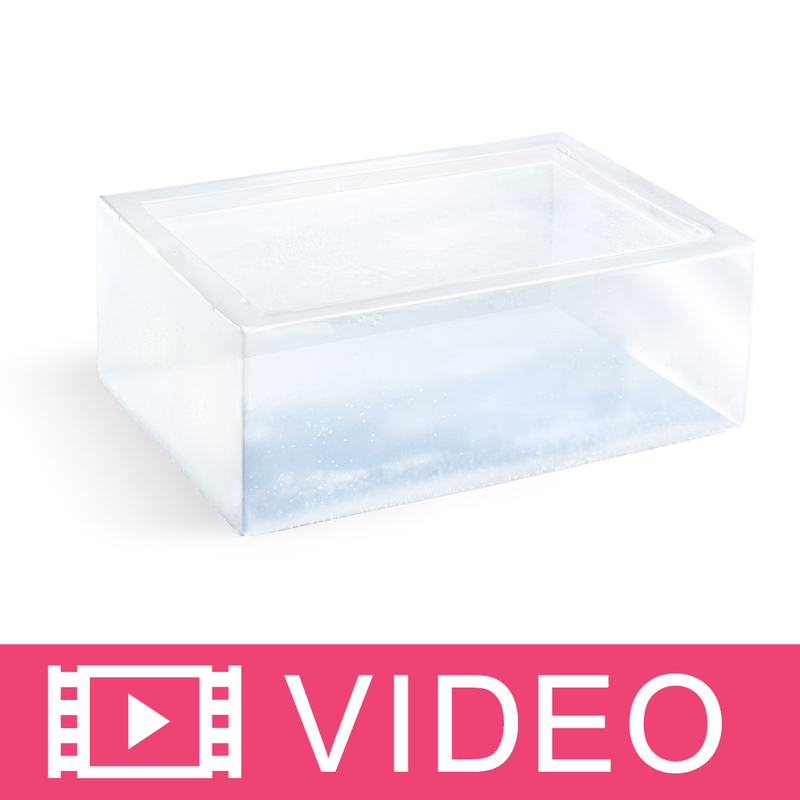 COMMENTS: This clear base is great for making embedded soaps, and any time you need a clear view through a soap. I have found that melting slowly keeps it the clearest, like using a candle warming plate with the soap in a shatterproof container sitting on top. It takes a little longer, but if I plan out what I'm making and start the clear early it works. Microwaving tends to produce hot spots which I think make clear soap cloud a little. "The clearest M&P Soap on the market"
COMMENTS: I use this base exclusively in my soaps. I tried every base I could find before this one and it has BY FAR the best clarity. It is relatively low-sweat and takes color and fragrance perfectly. It does discolor with Vanilla fragrances especially in direct sunlight but that is to be expected. I highly recommend this base. "My "To Go" M&P Base"
COMMENTS: Excellent in every way. I wouldn't think of trying another brand! COMMENTS: I tried a soap base from another company, but didn't like it very much. So I tried this one. I am so glad I did! COMMENTS: This makes a beautiful bar of clear soap. The bar is extremely firm and hold fragrance well. No odor and takes fragrance and color extremely well. COMMENTS: This is my fav M&P soap base and I have been M& soaping for 14 years now. It's very firm, extra clear, and does not sweat. COMMENTS: I love using this clear soap base. Projects comes out great each and every time! "Great soap; so easy to unmold!" COMMENTS: I use this soap when I need a very clear soap. Very high quality; love it! COMMENTS: I really like the extra clear soap because it is "very" clear. Great for making artistic soap. COMMENTS: This really is crystal clear soap and suds well also! COMMENTS: This soap has a great lather and it is perfect for embeds. 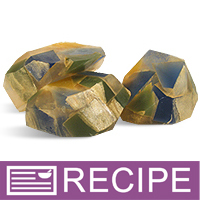 COMMENTS: This soap base has see-through clarity making it perfect for projects with embeds and/or toys and for creating jewel-toned soap bars. The perfect pouring temperature for layers and embeds seems to be under 128° so that they won't bleed into each other. It is nice to work with and takes colors and fragrances wonderfully. This particular base is harder than the Basic MP base and not as sticky. It has way less sweating than the low sweat bases so if you don't mind the extra ingredients then this is the one to choose. I definitely recommend this soap! COMMENTS: This is by far my favorite soap base and one that produces the best bar of soap. Most of my soap have additional botanicals added and this base shows everything off to its best advantage. I try to make a bar that is a beautiful artistic display as well as a very satisfying, gentle, nurturing experience for the bather. This soap base does that all. COMMENTS: Been using this product for 11 years and the quality still holds strong! COMMENTS: I bought this because I was in a hurry and HAD to have product fast. that was the best rush ever. i won't use anything else. when I was having trouble with my goat's milk base sweating this was still dry and easy to work with. CRYSTAL CLEAR works well with embeds and chunks and just everything I have done with it. Caution... it turns white with bar hardener. COMMENTS: I have tried other companies for clear M&P and your product is far superior to theirs. Theirs were anything but clear. I will NEVER buy from another company again. COMMENTS: My first purchase was the Shea Butter & Silk base and I wasn't too satisfied with the lather or it's poor ability to retain fragrances. When I bought this base, it was all I wanted and more. It's beautifully clear, takes color in very well, when it lathers it's rich and soft and the fragrance is great both when you smell the soap and on the skin. I love it! COMMENTS: This MP Soap Base is superb! I've gone through far too many brands over the years before trying various varieties from WSP and I can say that I'm so glad to have found the best in quality out there. WSP's prices, quality, and service is hands down tops and second to none. We're so glad to have found them as their products have caused our business to skyrocket. Thank you Debbie and WSP a million! COMMENTS: This soap base is wonderful. I like to make inventory way ahead of time. This soap does not dry out. As a tip, you can advise customers to keep finished soap out of standing water in the shower and the bars last longer. COMMENTS: It holds color and fragrance very well. I have tried others and they were cloudy after adding color and fragrance. I would never go back to the others now that I have used this extra clear base. "Ultra Clear Makes Me Ultra Happy"
COMMENTS: I LOVE this soap. My customers love it too. Thank you Debbie May for giving us a consistantly great product. COMMENTS: LOVE it! Can't find clearer ANYWHERE. COMMENTS: I think its the best quality I have ever purchased. COMMENTS: This is the first time I purchased from WSP. I bought because I needed soap making products for Christmas gifts (over 100 bars). I was awed by the clarity and ease of use. And, after making all those soaps, I finally used some myself. I was so pleased. Great lather and so very very soft. Even my daughter (age 9) who has severe eczema can use it without it burning her skin. THANKS WSP! COMMENTS: This is so easy to work with!! It is so clear I can read through a bar of it!!! Wonderful Base! COMMENTS: I just love, love, love this product. My customers always return after buying the first bar of soap. They are hooked for life. COMMENTS: I have done a few workshops on soapmaking, and this is such a user-friendly product. Everyone loves it! COMMENTS: I have tried other clear soaps but this is the only that doesn't feel dry and hard. It is smooth a soft. COMMENTS: Best soap I've ever used because it lathers better than others. Also takes scents well & so nice & clear. COMMENTS: The clear base is awesome! All products are wonderful. Will only order from you. Everything is delivered quickly and in excellent condition! "Best Soap Base out there"
COMMENTS: We have been ordering this soap for almost three years, we wouldn't dream of using any other! This is the best there is and at a great price too. COMMENTS: This clear soap is just what i needed for Christmas and Birthday projects. Easy to work with. COMMENTS: This glycerin soap base is the clearest by far that I have purchased. "This soap base is AWESOME!!" COMMENTS: This is an incredibly easy to use soap base that will give you consist results everytime. It colors well and scents great. You won't find a better soap base at a better price! Try the WHITE to. It is GREAT! COMMENTS: This soap is super clear even after color has been added. Gives great lather and holds scent very well. COMMENTS: Most dependable product out there. "Is this base made with any palm oil?" Staff Answer Sodium stearate and sodium myristate are the result of saponifying palm vegetable fatty acids with lye. 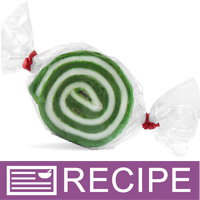 "I'm looking to make embeds and decorations for the top of my Cold Process soap. Will this soap work without melting or sweating in a Cold Process loaf? If not, is there a Melt and Pour Base you recommend? Thank you"
Staff Answer You can use the Premium Extra Clear soap for embeds in your CP soap. "In regards to melt and pour soap....I understand that "detergent free" soap base is considered real soap, but what about the bases containing SLS and other foaming agents, what are they considered? how would I label them? As a cleansing bar?" Bases with SLS are considered cosmetics and should be labeled as a cosmetic. The ingredients should be listed in descending order on your label. If you would like to learn more about proper labeling you can Click Here to view some articles in our Learning Library. 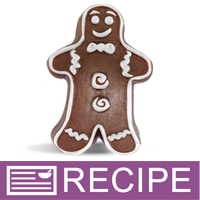 "I am trying to make the snow globes and the extra clear soap isn't crystal clear like the photo you show in the recipe. Is there a trick to keep the soap from developing a film on the outside? I don't overheat the soap; only enough to melt and I did not add essence or any color to it. What am I doing wrong? Thanks!" Staff Answer (continued from above)In terms of keeping the outside looking the best, we recommend wrapping tightly in plastic wrap immediately after removing from the mold. Fingerprints easily affect its appearance so be careful as you unmold. Also, be careful not to over stir the melted soap as this creates bubbles, which affect the clarity. We hope this helps! "Must you wear a mask when melting the soap?" Staff Answer If you are making products for sale, good manufacturing practices recommend you wear a hairnet, gloves, and a mask. We also recommend a clean apron. However you do not have to wear a mask if it is for personal use. "Does the finished product have to be wrapped right away? My soaps are so cute not wrapped. " "Which MP Soap Base is better for embeds, Extra Clear or Crystal Clear?" Staff Answer All three of these bases are very clear. The Crystal Clear has no tint which makes it ideal for embeds that have print you want your customers to read through the soap. If you are making colored embeds for loaves and bars, the extra clear is perfect. I have tried all of them, and the Crystal Clear is the absolute most clear with no tint to it at all. If you need the extra clarity it is well worth it! But, unless your embed is extremely detailed (or has small text on an embed paper) the extra clear is fine.